Michael Henrick is an experienced trial lawyer, with a practice focused on issues involving personal injury, professional liability, wrongful death and health care. 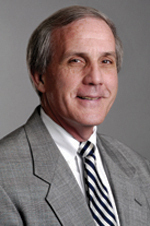 Mr. Henrick joined Hinshaw & Culbertson LLP in September 1974. In 2003, he was inducted as a Fellow in the American College of Trial Lawyers. In 2012, Mr. Henrick obtained a defense verdict for a Lake County hospital and its named nursing personnel in the death of a twin at birth. Plaintiff asked the jury for $7 Million. The trial lasted 3 weeks. In 2012, Mr. Henrick obtained a defense verdict for a orthopedic surgeon accused of making improper sexual advances to a female patient. In 2011, Mr. Henrick obtained a defense verdict on behalf of an internist who was alleged to have failed to diagnose a myocardial infarction when treating a patient in his office leading to his death two days later. The trial of that case lasted 1 1/2 weeks. In 2011, Mr. Henrick obtained a defense verdict on behalf of a pain management physician after his patient had fallen from a procedure table in the process of an epidural. The co-defendant hospital was held liable on a $750,000 award. “Jury Selection,” in-house presentation, Medical Malpractice Specialty Group meeting, Chicago, Illinois, November 2009. “Examination and Cross-Examination of Expert Witnesses,” Hinshaw’s Trial Advocacy Program, Chicago, Illinois, April 2008. “Surgical and Anesthesia Claims,” Illinois Providers Trust, Naperville, Illinois, June 2007. “Attorney Training & Orientation Program,” Hinshaw & Culbertson LLP, Chicago, Illinois, April 2002. “Examination and Treatment for Emergency Medical Conditions and Women in Labor Act and Consolidated Omnibus Budget Reconciliation Act,” Ophthalmic Mutual Insurance Company, Oak Brook, Illinois, March 2002. “Risk Management for the Eye MD and Its Impact on the Patient,” Ophthalmic Mutual Insurance Company, Oak Brook, Illinois, March 2001. “Communication Techniques for the Management of Adverse Outcomes,” Illinois Provider Trust, Libertyville, Illinois, October 2000. “Successfully Maneuvering the Legal Rapids,” Ophthalmic Mutual Insurance Company, Nationwide Audio conference, June 2000. “Legal Issues,” Association of Operating Room Nurses of Southeastern Wisconsin, October 1991. “From Subpoena to Trial: How Will You Perform?” Condell Memorial Hospital Nursing Personnel, March 1991. “Loss of Society in Death Cases: Raising the Stakes,” Hinshaw & Culbertson LLP, What It Means To Be A Lake County Litigant, Waukegan, Illinois, June 1991.